Quiet and looks good. Should come with 8x corner pieces, not 4x. Went with also a Noctua fan that had to be 120mm to fit with the case for exhaust. Best fans on the market! Not much more needs to be said. Highly recommend adding these to any build. Worth the $$$. I'm not particularly a fan of the fact that they gig more money out of you if you don't like the coffee color, especially considering they don't pack in the same accessories with this model as with the coffee-colored variant, but it's still mostly worth it. 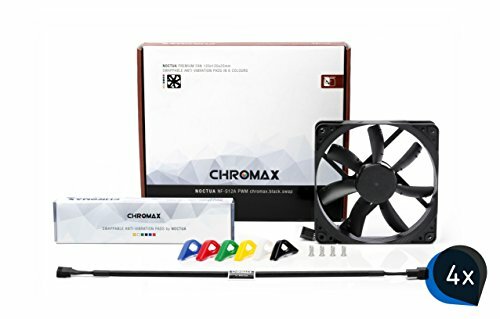 The best build quality and noise-to-performance ratio, as long as you don't mount it on a cooler. from completed build Black like my soul. Low vibration is a plus.Black colour is a plus. But they don't give you accessories aaand its more expensive.Shame on you noctua shame. Absolutely marvelous. 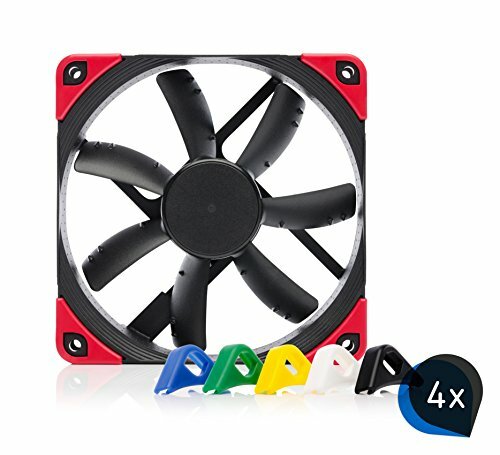 Silent even at max rpm and great airflow for such a small fan.